Nepal does not only present magnificent trekking, climbing, expedition and river rafting but it also has a fine selection of spotless Natural Safari and additional tours. 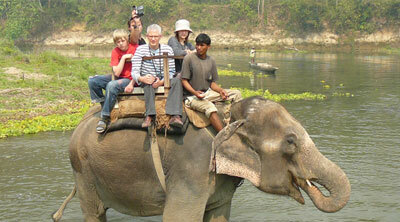 Nepal offers you the chance to enter the jungle and view some of the rarest and most endangered wildlife on earth. It is a great way to relax after a trek and soak up the jungle environment, bring your kids along and have the family holiday of a lifetime. The country known as Nepal is a conglomeration of as many very different ethnic groups, languages, and cultures as it is a bio geographic region. Nepal is a country of amazing expresses, something for everybody tourist, trekkers, river runner, wildlife enthusiast, poet, artist, scholar or the weary in search of a personal “Shangri-la”. 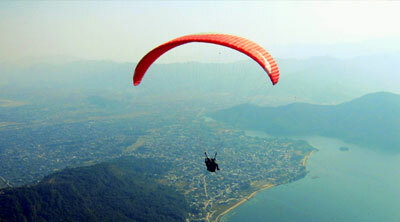 Not only climbing mountain, we have many various activities for adventure tourists. 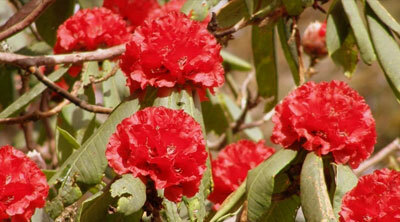 Government of Nepal has set aside more than 13,000 sq. kms of protected areas that include as many bio-geographic regions as possible to assure conservation of the maximum numbers of wildlife species. These nature sanctuaries attract wildlife enthusiasts and tourists from all over the world and each park and reserve has its own attraction. The most fascinating and consideration- grabbing program offered by Nepal not found elsewhere in the world is regarded as jungle safari, sport circuits, research plan, photographic trip, mountain flight, cycling trip, Paragliding, Bungee Jump, Zip fly, Altra flight, etc. In Nepal, you will discover the ideal situation of viewing the jungle scenery, birds and animals and the indigenous local people, their colorful tradition, unique dress and languages.